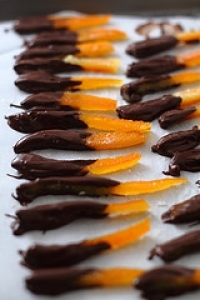 Have you made Candied Grapefruit Peel? 1. DIRECTIONS: Cover peel with cold water. 2. 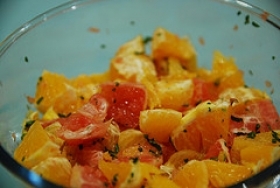 Bring to boil and cook until tender, pouring off water and adding fresh cold water several times. 3. Drain. With spoon, remove white inner portion of peel. 4. With knife or tiny star cookie cutter, cut a few stars from peel, if desired. 5. 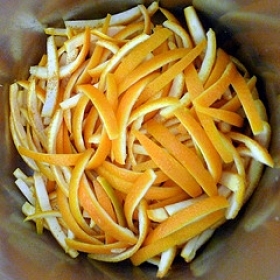 With scissors or sharp knife, cut rest of peel in thin strips. 6. Make syrup by boiling 2 cups sugar with 1 cup water. 7. Add a little red or green food coloring. 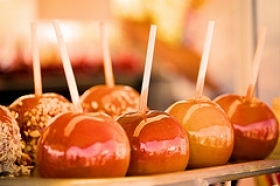 (A drop or two of yellow coloring with red improves the finished color). 8. 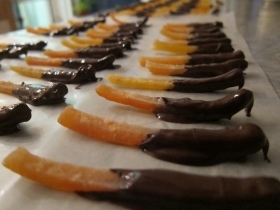 Add peel; cook over low heat until peel has a clear, candied appearance. 9. 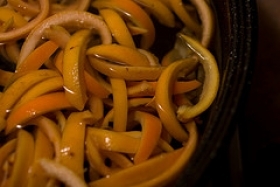 Remove peel, 2 or 3 pieces at a time, allowing excess syrup to drain back into saucepan. 10. 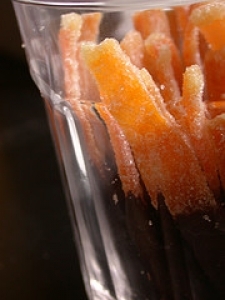 Roll strips separately into remaining 1 cup sugar until well coated. 11. Place on rack to cool. Store in tightly covered container in cool, dry place. 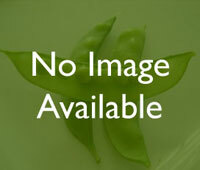 This recipe contains potential food allergens and will effect people with Food Color, Natural Sweeteners allergies.